About the H-1B Visa: Do You Qualify? State licensure, if required to practice in the occupation. 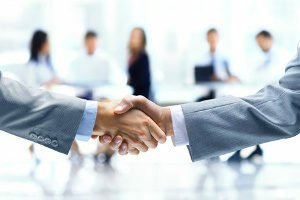 Your United States employer must sponsor your application. The H-1B visa work-authorization is strictly limited to employment by the sponsoring employer. H-1B visa holders can bring immediate family members (spouse and children under age 21) to the United States as dependents. They will be approved under the H-4 visa category. If an H-1B visa holder has submitted an I-140 immigrant petition or a labor certification prior to the visa holder’s fifth anniversary of having the visa, the visa holder may renew the visa in one-year increments until a decision has been rendered on the application for permanent residence. If an H-1B visa holder has an approved I-140 immigrant petition, but is unable to initiate the final step of the green card process due to issues with the priority date, the visa holder may obtain a three-year extension of the visa. For certain United States Department of Defense work, the maximum duration of the H-1B visa is ten years. A period of less than three years may apply depending on the specific country of the visa applicant’s citizenship. 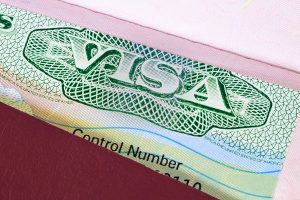 Any H-1B holder who has not obtained permanent residency after six years but wants to continue to work in the United States must leave the United States and remain outside of the United States for one year before reapplying for another H-1B visa unless they qualify for one of the exceptions noted above that allows for extensions beyond six years. An additional 20,000 H-1Bs are available to foreign nationals holding a master’s degree or higher degree from a United States university. All H-1B non-immigrant foreign national workers and contractors who work on projects for universities, non-profit research facilities associated with universities, and government research facilities. Universities can employ an unlimited number of foreign workers otherwise qualifying for the H-1B as cap-exempt. The qualifying university or organization contractors who employ foreign workers must show 1) the majority of the worker’s duties will be performed at the qualifying institution, organization or entity, and 2) the job duties directly and predominantly further the essential purpose, mission objectives or functions of the qualifying institution, organization or entity. Free Trade Agreements carve out 1,400 H1B1 visas for Chilean nationals and 5,400 H1B1 visas for Singapore nationals. The United States Customs and Immigration service (USCIS) starts accepting applications on the first business day of April for visas that count against the fiscal year starting in October. USCIS accepts H-1B visa applications no more than six months in advance of the requested start date. How Do You Obtain An H-1B Visa? The first step you should take is to hire an immigration attorney who is experienced with the H-1B visa application process. An experienced immigration attorney will answer your questions, determine if you are qualified, and help you avoid needless delays. 1. Labor Condition Application. Your employer must file a Labor Condition Application (LCA) with the United States Department of Labor for the employee. The employer must attest that the wage to be paid is at least equal to the prevailing wage and wages paid to others in the company in similar positions and that the working conditions meet certain criteria. 2. Petition for a Nonimmigrant Worker. Once the employer receives an approved LCA, the employer must file a Form I-129 (Petition for a Nonimmigrant Worker) requesting H-1B classification for you and provide supporting documents and fees. 3. Approval. After the Form I-129 is approved, you may begin working with the H-1B classification on or after the indicated start date of the job. 4. H-1B Application. If you are outside the United States, you may apply for the H-1B visa using the approved Form I-129 and supporting documents. 5. H-1B Visa. With the H-1B visa, you may present yourself to a United States port of entry seeking admission to the United States. If you are eligible to apply for an H1-B visa, take advantage of the potential opportunity. An H-1B visa is a good way to come into the United States and work in a professional occupation. If you think you satisfy the eligibility requirements, be sure to consult with an experienced immigration attorney before initiating the application process. A good immigration attorney can help your application succeed with less hassle and fewer delays than doing it yourself.